Litchfield Country Club, as one of the oldest country clubs in the country, has a rich and treasured history. 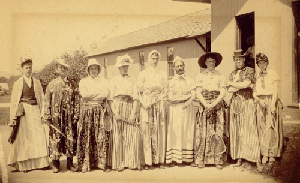 In 1878, on the site of Litchfield’s present day Town Hall, there was created The Litchfield Lawn Club. Principal activities included croquet, bowling, tennis and social events. 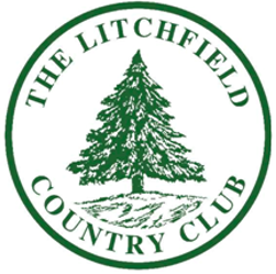 On August 29, 1892, the Articles of Association of the Litchfield Country Club were signed. The purpose of the new association was to take over the property of the Lawn Club and to build a new Clubhouse and four new tennis courts. The Connecticut State Tennis Championships were played on these courts until 1914. In 1896, a six-hole golf course was added to the Club. The course ran from behind the North Street properties just north of Rose Haven down to the present day Community Fields on North Lake Street. By 1898, a rift developed among Club members. 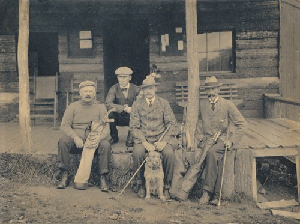 Some members, who had become proficient at the new game of golf, wanted the course enlarged and improved; others were more interested in tennis and social functions and disinclined to spend money on golf. A group of members split off from the Club to form the Bantam River Golf Club. They built a new nine-hole course south of East Street extending from the rear of St. Anthony’s Church eastward to the Bantam River. The older Club was known as the West Side Club; the new club as the East Side Club. The introduction of the dimpled, wound-rubber golf replacing the old “gutta-percha” ball at the turn of the century had a profound impact on golf in Litchfield. Both clubs needed longer holes to accommodate the new technology, but Litchfield (the West Side Club) had no land on which to expand. In 1904, Litchfield abandoned golf altogether, leaving the Bantam River Club as the only golf club in town. Even then however, two Clubs proved difficult to sustain. In 1916, Alain White developed a plan to combine the clubs and, through the White Memorial Foundation, offered the Catlin Farm and house as a site for a new golf course and club house. This is the site of our present facilities. The Bantam River Golf Club (the East Side Club) was dissolved into the Litchfield Club (the West Side Club). Members of both became members of the conjoined entity. 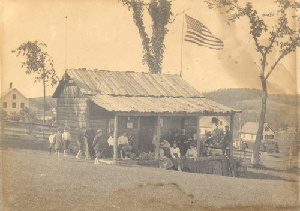 The new Clubhouse and golf course opened on July 4, 1917.